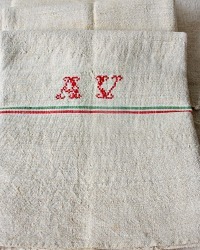 Hand woven 19th century French Linen Towel in natural color, with rare to find Green and Red decorative stripes on two sides. 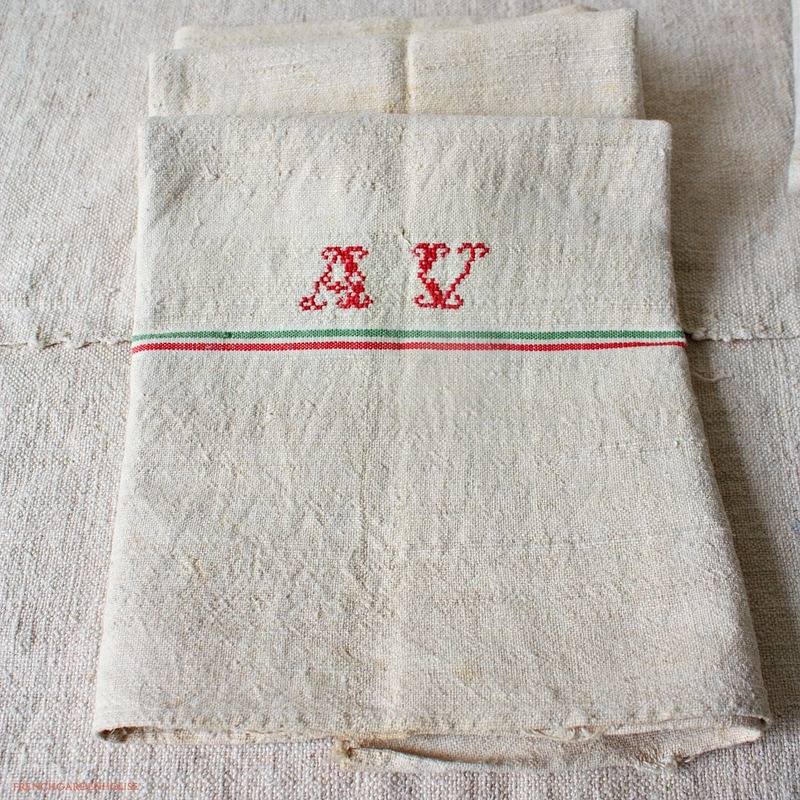 The initials A and V are hand embroidred in red cross stiching. 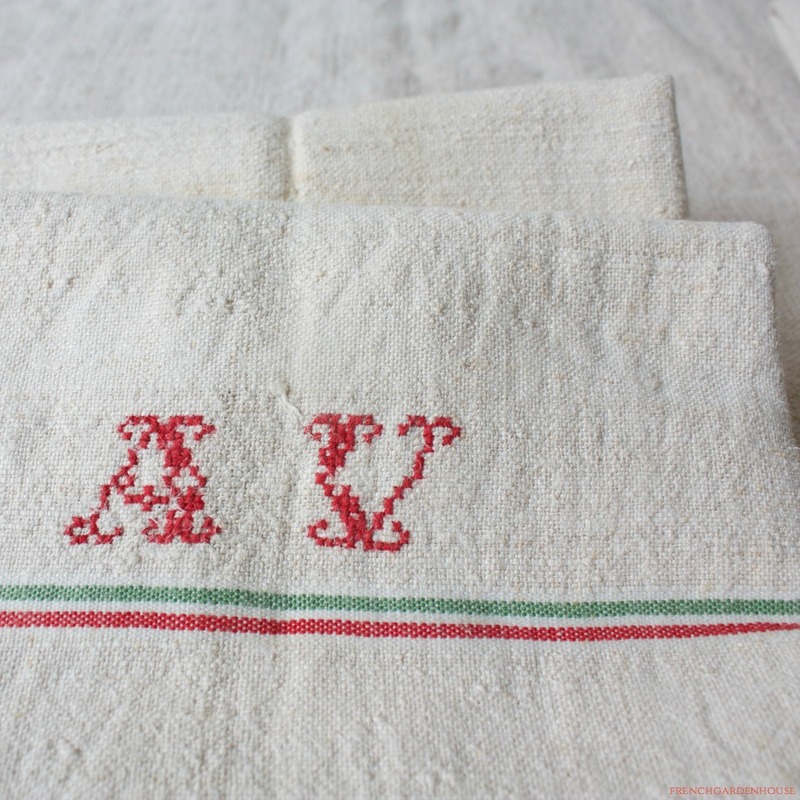 From a trousseau, cherished family linen heirloom, has the glorious uneven hand weaving we love, hand stitched hems, in good antique condition. Use this as intended in your kitchen, or layer in an antique basket for a luxury display, a French Country addition to your linen collection. There are "thin" areas, and general worn appearance you expect and want to see of a textile over 100 years.